The best budget electric shaver will give you a closer clean shave without having to spend countless dollars on disposable razor blades. The trick is finding an affordable electric shaver that does a quality job. Usually, the ideal choices come with few or no accessories at all. 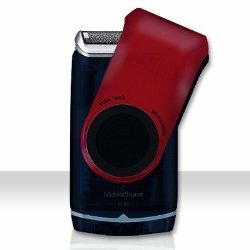 On top of that, the main shaver will be of small dimensions which is perfect for travel. Today, we’ll focus on a number of these devices you’ll appreciate. The electric shavers that made the list are all based on price, functionality, and overall user reviews. The best budget electric shaver comes from Ceenswes for they created the perfect travel companion. Motor powered by two AA batteries, the head adjusts to all the curves and contours of your face automatically. Despite its low price point, this model reduces pressure and irritation of the skin while providing a close and comfortable shaving experience. Heads automatically adjust according to curves of your face. Allows you to use it anyplace or anytime. Battery life is 60 minutes. Shaver is not waterproof and can be used for dry shaving only. Shaving System: Men’s travel shaver. When it comes to getting a close shave, this Braun mobile electric shaver will certainly do the trick. Considered the best budget electric shaver for the money, it can easily be cleaned by running the head under water, has a wide foil to reduce passes, and trims stray hairs in either direction. The wide floating foil offers close and comfortable shave. Easy cleaning running under water. Foil pattern captures stray hairs growing in any direction. Battery life under one hour. Shaving System: Compact affordable travel men’s shaver. 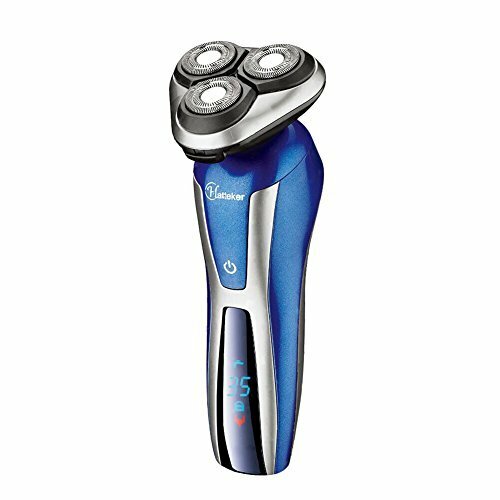 The Panasonic electric shaver has exceptionally sharp blades that are durable and designed to slice through the thickest stubble. 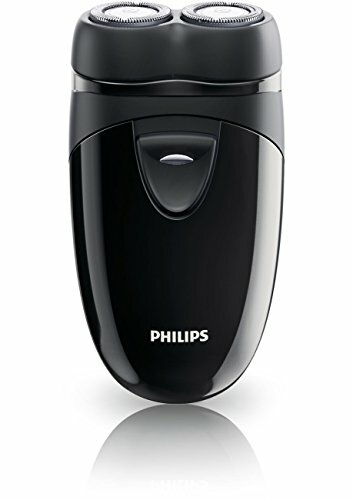 Best budget electric shaver for travel because it runs on batteries and will give you a crisp clean shave every time. This model is small enough to fit inside toiletries bag. The ergonomic profile fits naturally in either hand. 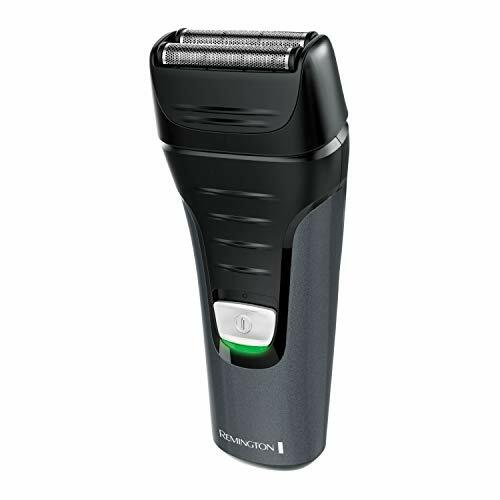 Best electric shaver for comfort and control. Floating head with ultra-thin smooth stainless steel foil. 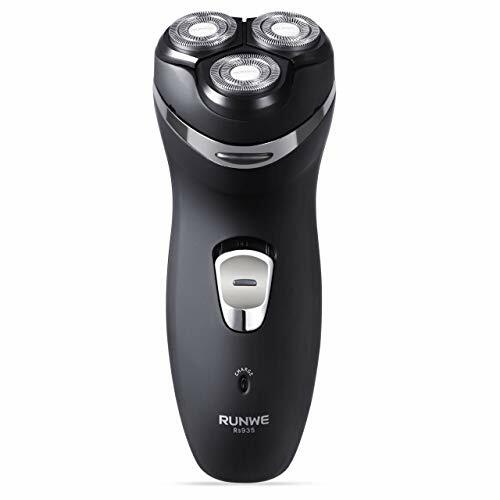 This Runwe is considered to be the best budget electric shaver because it is affordable and provides the closest possible shave. Hard-to-reach areas are no problem for the Runwe, utilizing triple precision shaving heads to tackle those longer hairs or shortest stubble with ease. Trimmer cleans up eyebrows, mustache, and sideburns. Heads independently move in 4 directions. Provides faster and more comfortable shaving experience. Includes trimmer for sideburns, beards, and eyebrows. Not shower proof although washable. Fully charges in eight hours. Remington continues to be the best budget electric shaver on the market because they keep improving on previous designs. The PF7300 has a new ergonomic design with a quiet drivetrain that delivers a closer and comfortable shave utilizing cordless performance. Stainless steel blades operate effortlessly within flexible foils to give the closest shave on face, neck, and jawline. Shaver fits comfortably in your hand. Foils flex to respond to every facial contour. Vibrates less and is 20 percent quieter than other Remington models. Cordless run-time of 30 minutes. Charging time of 16 hours. Shaving System: Shaver delivers close comfortable shave with cordless performance. 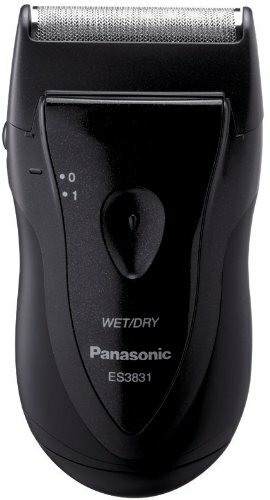 Hatteker created the best budget electric shaver with their rotary wet/dry design. This model utilizes 3D floating heads with an upgraded double-blade technique that will automatically adapt to all the difficult angles of the face, neck, and jaw. On top of that, this shaver has rounded edges that glide over sensitive skin for an ultra-protective shave whether standing in front of the mirror or using the shaver while taking a shower. Whole body waterproof/wet and dry design. 2 in 1 double-heads are changeable. Battery running time 60 minutes. This Kissliss electric shaver doesn’t use foils, the 3D contoured heads work in four different directions to easily make short work of the thickest facial hair. There will be no nicks or cuts with this electric shaver. The Kissliss rotary shaver comes with a pop-up trimmer for cleaning up the sideburns, mustache, and the eyebrows. Pop-up trimmer for cutting most stray hair or beard shaping. Can be used safely in the shower or run under water. Charges by connecting a USB cable to your phone charger. If you’ve discovered an affordable electric shaver that didn’t make the list, please take a moment to share your experience with us so we have the opportunity to give our readers that information to consider when they make their next purchase.